Price listed is for three charms. 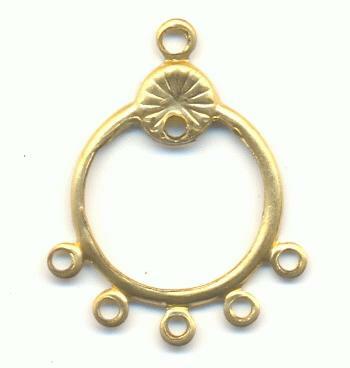 These are brass and measure approximately 22mm long by 17mm wide (including the rings). They have a single ring at the top and five rings at the bottom. It is hard to see in the picture but there is also a hole near the top for dangling beads or charms inside the open center. These are very light weight and would work well as earrings!